In the world of personal finance, the FIRE movement tends to ignite strong feelings. It certainly does for me, when friends or family forward me articles about someone who saved $1 million by age 35, or a family who fled the rat race to live on a self-sustaining farm in the wilderness. I think these achievements are extraordinary. But I get the sense that the FIRE movement discourages more people than it inspires… UNLESS you take a deeper look. FIRE stands for “Financial Independence Retire Early,” and is a catchall term for a movement to slash expenses and supercharge savings, with the goal of accumulating enough to retire decades earlier than most people. The proponents of FIRE often take extreme and creative paths to achieve their early retirement goal—saving over 50% of their income, living in tiny houses, biking everywhere, never eating in restaurants, etc. My problem with FIRE is that when most people read these stories, they say to themselves, “Wow. Good for them, but that’s insane, and I could never do that,” or “I don’t want to do that, I like my job and I like my life.” The approach requires such a dramatic shift that it seems impossible. Or does it? On closer look, the FIRE movement is really just a rebranding of a very prudent personal finance approach that involves being intentional with your money, career, and life. FIRE is not about the money. 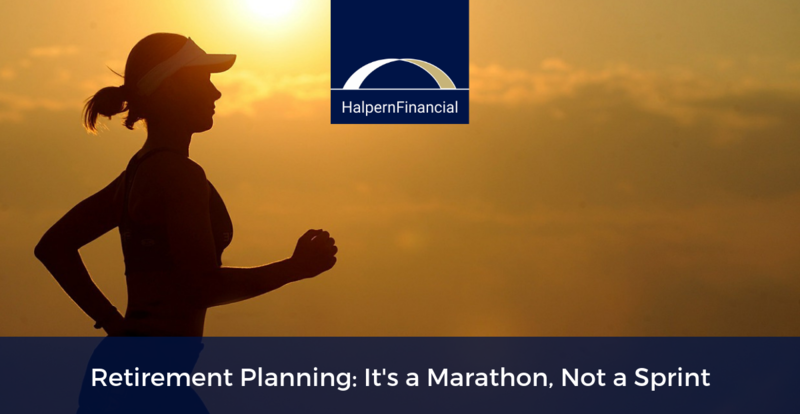 It’s all about the goal—which isn’t retirement, exactly. It’s about creating a life that you don’t need to retire from. Happier retirees of any age have a strong sense of purpose and community. For the young “FIRE starters” this sense of purpose and community usually translates to living on a modest amount, while supercharging one’s savings to achieve a goal such as financial independence or retiring early. One of the most famous FIRE trailblazers, “Mr. Money Moustache,” accumulated $800,000 in 9 years to retire in his 30s. This sounds like a large sum for someone of a young age, but in reality—this is not a huge amount to support yourself when you have 50 or 60 more years to live! Proponents of FIRE may be “retiring” from a typical 9-to-5 job, but many of them still work, often making money from blogging or speaking about their FIRE journey. The end goal is not a certain number in the bank account. The true goal is to take the financial steps needed to shape a life that makes them happy while maintaining financial stability and longevity. While the FIRE movement is popular with millennials, people of any age can benefit from the lessons involved. In fact, older people typically have better earning power, and a larger savings base—they have the means, but may need a change of habits to achieve big goals, particularly on a shorter timeframe than a younger person would have. That’s why we’ve compiled these FIRE lessons that may benefit you—even if you’re not a millennial. Think about your career path and imagine 5 years into the future. Do you like what you see? Is there something you can do to ensure it moves in the right direction? Do you want to make a change? Explore. Take a close look at your cash flow. It may have been a while since you took the time to take a close look because you are generally cash flow positive every month. But are you maximizing your potential? Are you on track to meet looming goals—for example, college funding? Are you prepared for these goals? What happens if you decide you need to make a life change? Increase your net worth. Reduce costs after taking a closer look at expenses, and use that excess to accelerate savings and investments. Take a landscape view of your financial decisions, spending with your net worth statement in mind, not whether you can afford something on a month to month basis. Battle lifestyle creep (the tendency for costs to increase as income increases). You are at “enough” as far as material goods are concerned, so how can you enrich your life in other ways? Continue following the steps from your 40s above. FIRE up savings. The kids are launched or will be soon, so don’t let your extra positive cash flow go to waste. This is the time to focus on financial goals that may have been deferred while your children had educational or extracurricular expenses. 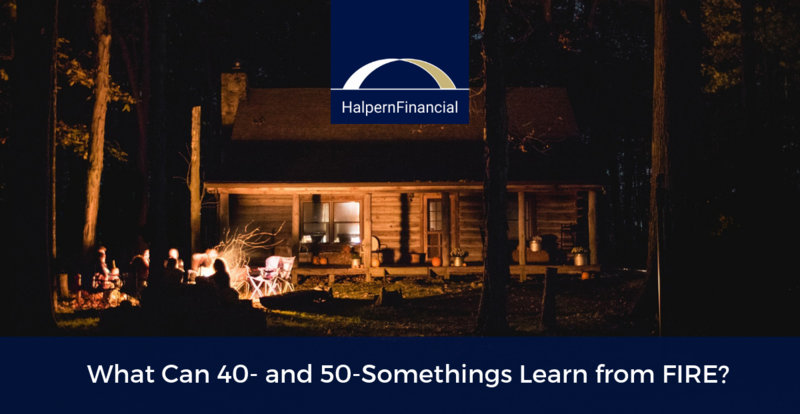 After age 50, you also have the opportunity to make “catch-up” contributions to your tax-deferred retirement account. Zoom in on your future needs. What will you be doing on a daily basis in retirement? How much will your retirement lifestyle cost, and are there ways to manage this cost, or have some flexibility? Begin to live the life you want now. The path to retirement (or your new life of choosing to work versus needing to work) doesn’t have to mean closing the door on your old life and rushing blindly into a new one. Why wait until you retire officially to start engaging in the adventures you have been dreaming of? Take a vacation to an area you think you may want to move in the future, or join a group to try out a hobby you’ve always wanted to pursue. Whether you decide to spark your own FIRE journey or not, the important thing to remember is that at any age, you can make your financial situation better than it was yesterday. Be optimistic about what you can achieve and set the bar at a challenging, but achievable level for yourself. When you find a goal that is sufficiently motivating, and you put the time into making any needed changes, you will surprise yourself with how effective you can be. Did you really, really like what you just read?